We often overlook the simple things we can do to preserve our health. Sadly, these easy changes that could be made, the ones we take for granted, are the very thing that could have saved our life. And one of the biggest risks posed to our health, is the risk of stroke. Did you know that 795,000 people have a heart attack each year? In fact, every 40 seconds, someone in the United States has a stroke. Middle-aged women are twice as likely to have a stroke than men, and people who smoke, drink, and eat certain foods also increase their risk. But, we will take a look at that from a more in-depth perspective below. Of course, even if you do take care and precaution, and do everything right, you are still at risk. However, the risk is lessened, and the more we know about the risks posed to our health, the more able we are to take charge of our health and lead a better life. So what can we do to prevent strokes from happening? 1. Know your blood pressure, and work to keep it under control. You can purchase a blood-pressure monitoring machine at almost and pharmacy, and even check it by using the machine located in most of those facilities. It also helps to check with your physician from time to time, to have your vitals and overall health checked, once you have reached a certain age. If you do have high blood pressure, there are measures you can take to control it. 2. If you are overweight, work to get it to a controllable range. Exercise, diet, and portion control are all wonderful ways to control your weight. On the opposite spectrum though, being underweight is also not good for your health. Speak with your trusted physician, and see what the best route would be to get your weight under control if you feel you may be in an unhealthy range. 3. Drink in moderation, not excess. A study involving 11,644 people found that people who drank heavily in their 50’s and 60’s were more likely to have a stroke 5 years earlier in life, than those who drank in moderation or not at all. 4. Set an alarm for 7 hours of sleep. If you sleep more than 10 hours, you increase your risk for stroke by up to as much as 63%. Harvard’s scientists say that a 7-hour stretch of sleep is optimal for maintaining a preventative edge against stroke. If you snore, your risk is also increased. As little as 30 minutes of physical activity a day can decrease your risks. Also, staying active will help you to maintain a healthy weight, which can also help you to prevent strokes. Smokers are at a higher risk for stroke so much that they are four times as likely to have one. It causes fatty substances to build up in your the main artery located in your neck that brings blood to your brain. 7. Stay aware of your overall risk factors on a personal level. Check out this amazing and in-depth guide provided by the National Institute of Neurological Disorders and Stroke. 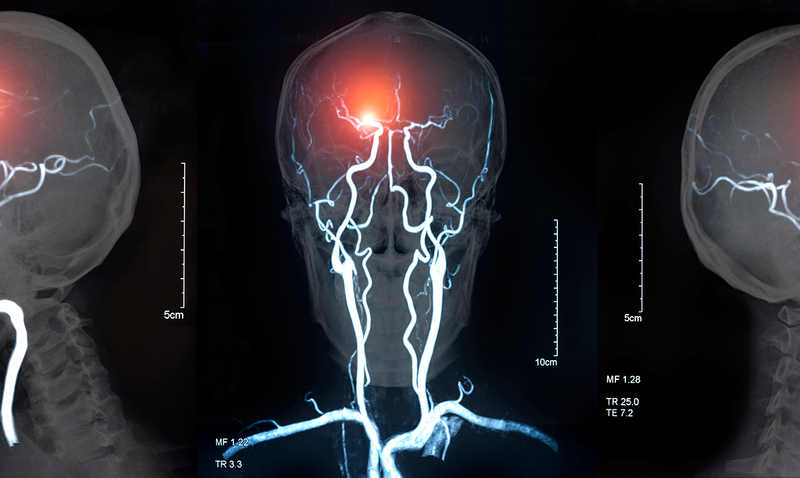 They explain the risks that you should be aware of and maintain control over in order to lessen your risk for stroke. 8. Change your unhealthy eating habits. 9. Understand the warning signs of a stroke. 10. Know how to respond to warning signs. When you notice the signs act FAST, meaning that if you notice that your face (f) is drooping, numb, or feeling strange, your Arm (a) or leg is weak, your speech (s) is slurred, it is time (t) to act quickly. Call 911, and ask for an ambulance. Studies show that people who arrive in an ambulance have a better chance of survival. 11. Take care to control your diabetes, or avoid it entirely. Similar to tobacco, diabetes can increase your risk for stroke two fold. Listen to your doctor when he gives advice about what you should do to control your blood sugar. Oftentimes, diet and exercise changes can make all the difference in the world. 12. Care for your heart. While heart disease can be hereditary, diet and exercise can contribute as well. Maintain regular checkups, and take prescribed medications to reduce your risks.